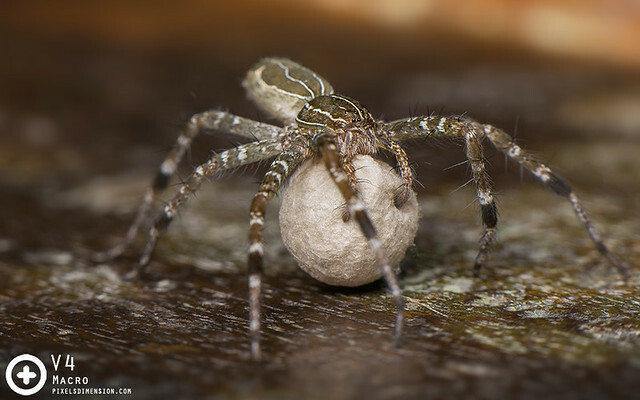 Nursery-Web Spiders are so-called due to their habits of building 3-Dimensional Nursery Webs for their spherical egg sacs. 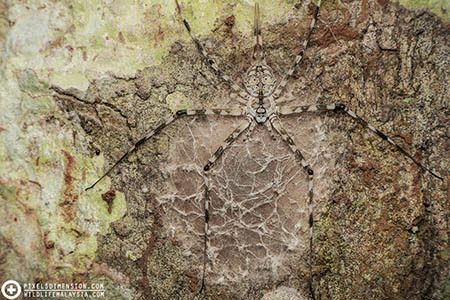 These moderately large spiders are often found in shaded areas within parks, gardens, mangroves and mountains, and can often be seen waiting for prey on foliages and twigs. Some Pisaurids are known to hunt near ponds or streams and are even capable of running across water! #1. 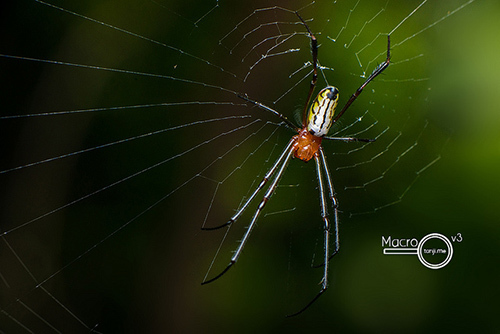 A Mangrove Swamp Dendrolycosa (Dendrolycosa sp.). 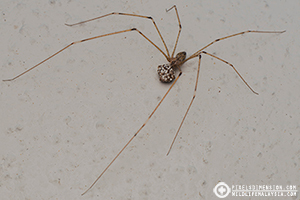 This protective mother was seen protecting its spherical egg sac, a character shown by Nursery Web spiders. #2. 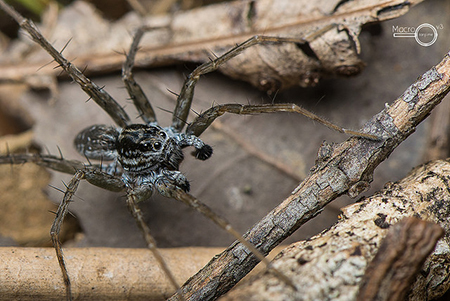 Likely a male Fishing Spider (Hygropoda sp.). Found this fellow waiting on top of a lily leaf for awhile before it manages to catch a fly. 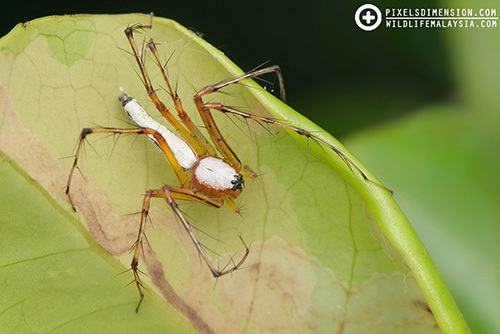 These spiders often lie in wait on top of foliages in shaded areas, and will quickly dart to the underside of the leaves when disturbed. #3. 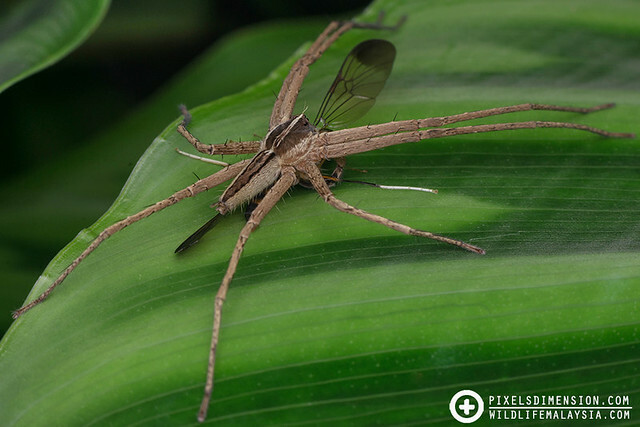 A male Nursery Web Spider (cf Hygropoda sp.). 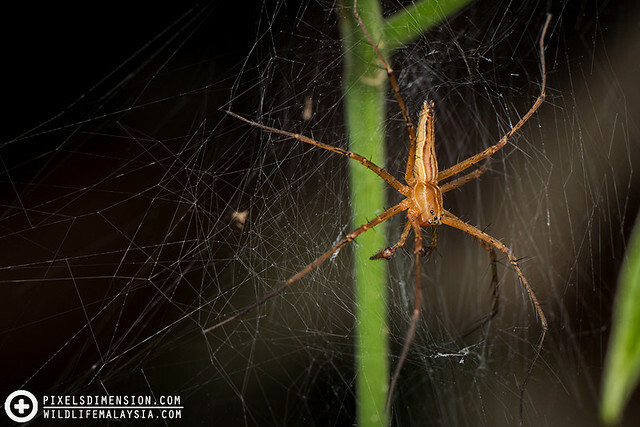 Both the male and female of this species of spiders build similar webs such as this- small-sized, messy, and with a hole in the centre for the spider.